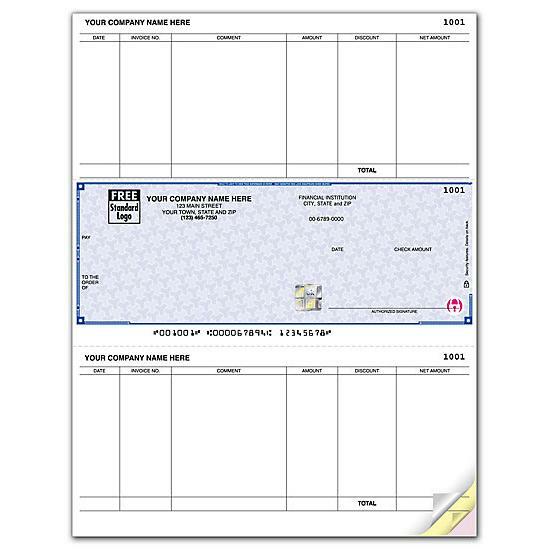 These laser checks are compatible with Sage MAS 90, MAS 200. 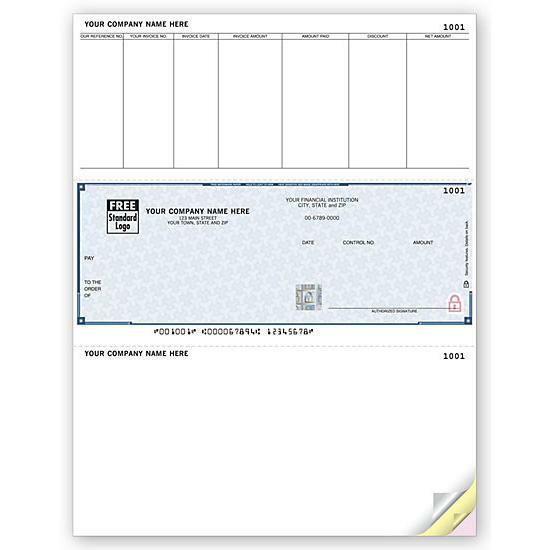 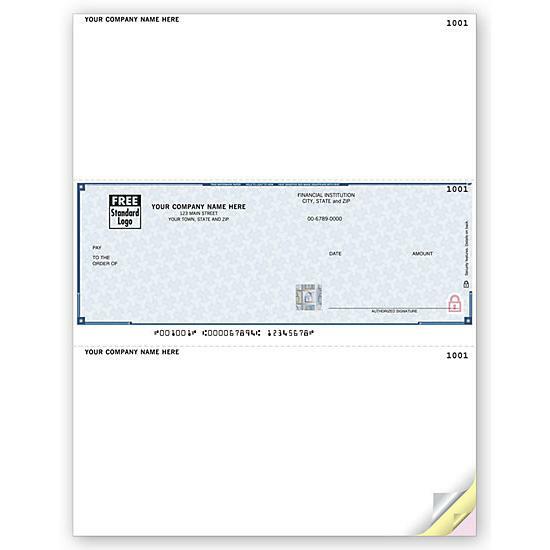 Use these unlined middle checks to pay multiple invoices with 1 versatile computer check! 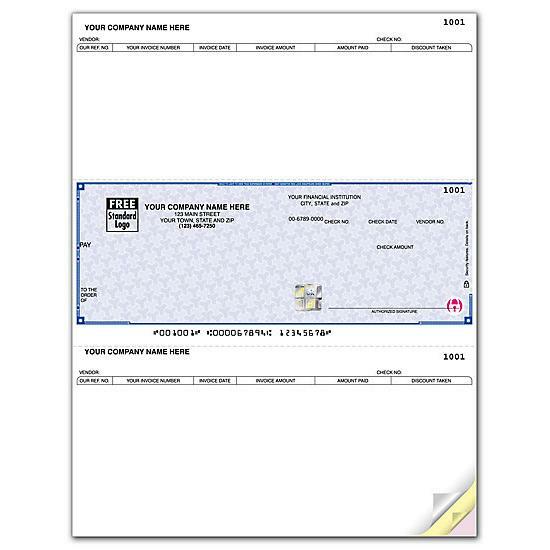 Top & bottom tear-off vouchers include preprinted headings to detail invoicing data for payee & you.